WIKA inline diaphragm seals and flow-through thermowells either reduce or eliminate dead legs where bacterial or fungal contamination can develop in pharmaceutical manufacturing processes. Process engineers know for decades that “dead legs” in piping and process vessels have been a notable source of contamination, but the problem had not been rigorously evaluated until recently. The American Society of Mechanical Engineers (ASME) Bioprocess Engineering (BPE) standard defines dead legs as an area of entrapment in a vessel or piping that can lead to contamination of the process or product. 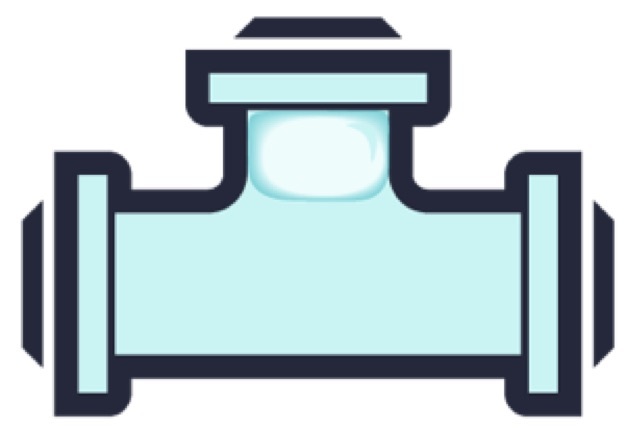 Peripheral areas of a piping system that are difficult to clean thanks to air pockets can be formed in many different process configurations, but one typical area for these dead legs is the upper branch leg of an upward-pointing “T” fittings (see right). The results of the new ASME BPE Branch Leg Study revealed that the current pharmaceutical industry guidelines may not go far enough to ensure cleanability. To prevent dead legs, current industry guidelines suggest flow conditions at a length-to-diameter (L/D) ratio of less than two and a tangential turbulent flow rate of 5 feet/sec. L/D is defined as the length of the branch leg over the diameter of the leg. Most modern pharmaceutical and biotech processes meet these standards by using short outlet tees. The new ASME BPE Branch Leg Study shows that in order to ensure a complete cleaning that removes all air trapped in dead legs, the required flow rate would have to be significantly greater than 5 feet/sec (see right). However, with equipment costs and losses due to downtime, it is expensive to increase flow rate, total volume of cleaning solution, or cleaning time. The new ASME BPE study makes several recommendations for improving cleanability and to remove air pockets. Install T fittings with downward-pointing branches. The downside, however, is that this creates a whole new set of issues relating to proper draining. Install T connections in vertical pipes, rather than horizontal pipes, whenever possible. Reduce the length of the T as much as possible, as ASME BPE Short Order Ts performed better than the standard Ts in the study. Of course, the ideal solution is to eliminate branch leg connections altogether. 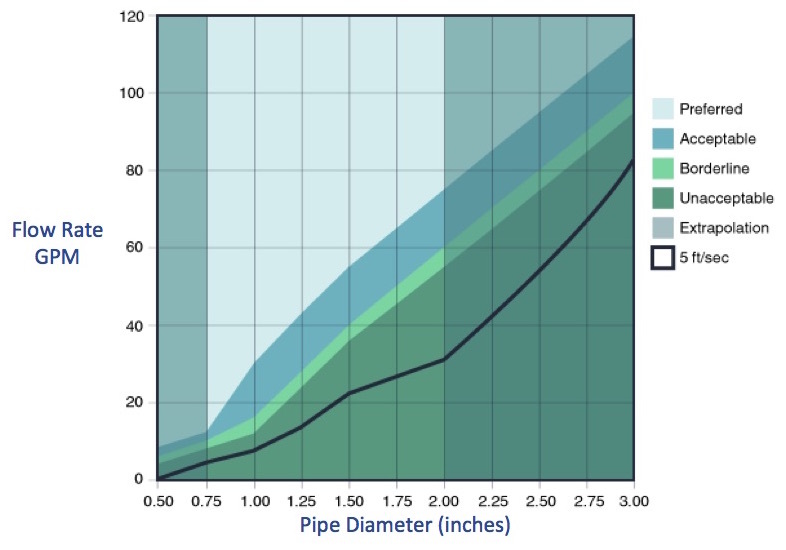 The ASME BPE study indicates that the current industry standards of 5 feet/sec flow rate during cleaning may be inadequate to prevent dead legs. WIKA’s engineers have been studying the dead leg dilemma for decades, and have developed several solutions that almost completely prevent the problems that cause dead legs in the first place. Inline Diaphragm Seal — WIKA’s Inline diaphragm seal system eliminates nearly 80% of connections, thereby dramatically reducing the need for problematic tri-clamp connections. Circular inline seals can be mounted directly into the pipeline, so no additional connection into the process for the measuring device is required. Fewer connections mean less turbulence and fewer dead spaces, corners, or other obstructions that can contribute to process contamination. Flow-Through Thermowell — WIKA also offers a flow-through thermowell specifically designed for bioprocessing. Because the thermowell can be mounted to the process by orbital welding, the seal is not in contact with the product in the pipe. Impressing the body of the pipe to adapt it to the sensor thermowell almost completely eliminates dead air spaces. WIKA PG43SA Line of Diaphragm Pressure Gauges — These diaphragm pressure gauges offer hygienic pressure measurement and are designed for mechanical pressure display on pipelines, fermenters, bioreactors, tanks, and other vessels, as well as pressure/vacuum monitoring during cleaning, sterilization, and pressure testing. These gauges can be equipped with a point-about back mount. They are autoclavable and highly versatile, including the ability to be mounted in a vertical position on horizontal piping. Model PG43SA-D includes integrated diaphragm monitoring with status display, and two barriers to isolate the process from the atmosphere. 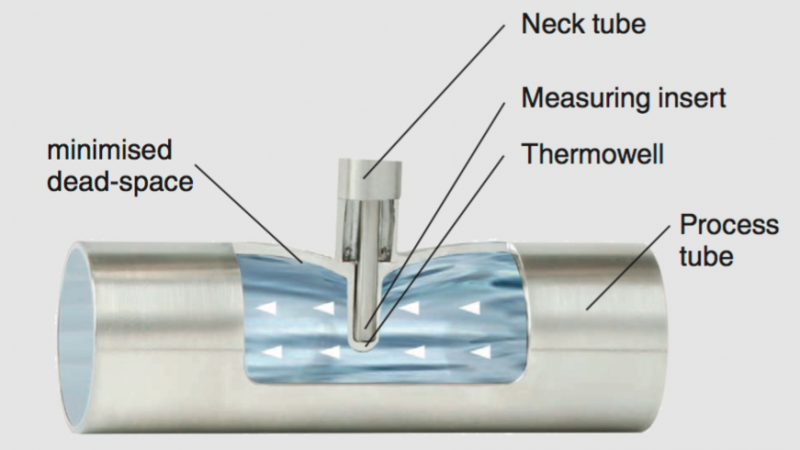 Welding ball thermowell for tanks — WIKA’s patented welding ball thermowell design allows a system to eliminate all T connections in process tanks. Inline solutions also avoid the added risks associated with the gaskets used in tri-clamp and other process connections. The sealing gaskets used in tri-clamp and similar fittings may be over-compressed or simply wear out over time, breaking up into small pieces that enter and contaminate the process. 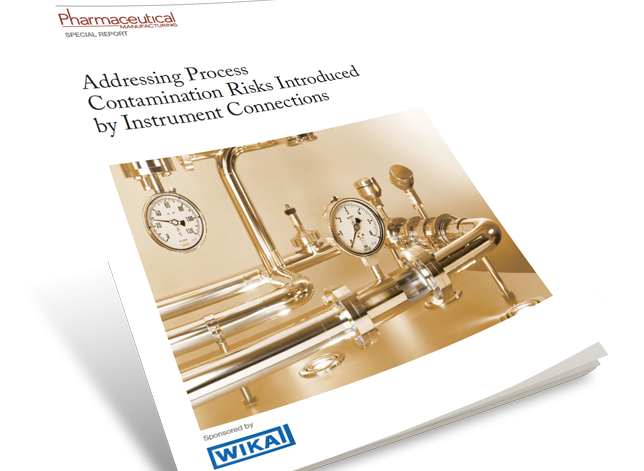 Download WIKA’s special report on process contamination, which addresses the issue of dead legs in the pharmaceutical industry.